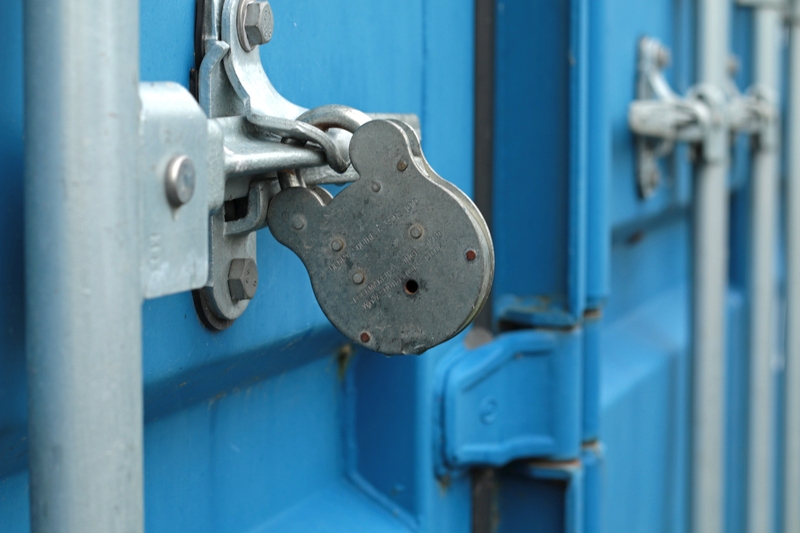 The goods in a container: are they safe? 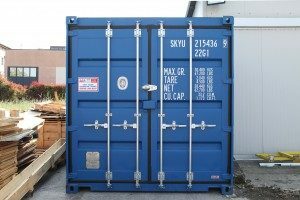 Containers are not only used for freight transport; many are also used for the storage, with more or less temporary solutions, of voluminousand often valuable goods (e.g. in yards and parking lots and on plots of land etc.) 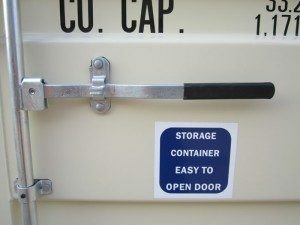 But are containers suitable for this purpose? That is to say, are they secure enough? Without doubt, the robust metal structure provides a solid “casing”, but their access door is equipped with external locking rods(and therefore more easily attacked), the closure of which is often taken care of by a normal padlock with a shackle, since the slots on the handles of the rods almost never allow the application of more secure solutions. In some cases, in order to overcome this objectively weak point, fixing ringsare welded to the doors, allowing the passage of the rod of an armoured padlock and a kind of steel “pocket” is also sometimes welded to cover the hooks and the padlock itself. 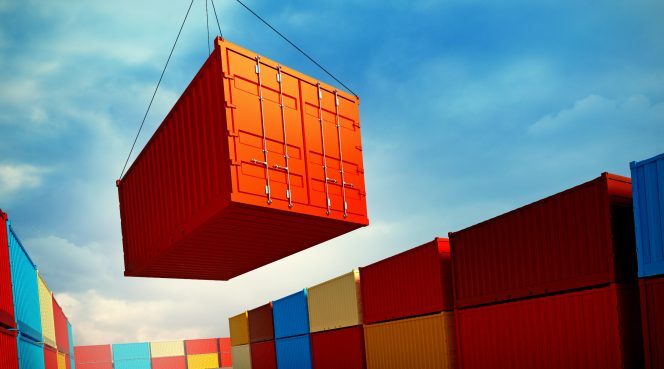 These solutions highlight that the risk of container theftis real and experienced by users. Fitting an armoured padlock inside a cover “pocket”. But at the same time a padlock, even if it is armoured, does not fully fulfil the intended purpose, as it must still be applicable to the doors and therefore necessarily leaves a side potentially accessibleto attack by thieves. 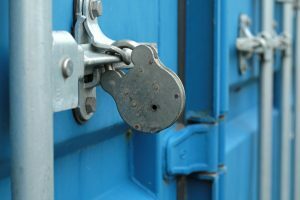 In fact the thieves, having time and toolsavailable (often in fact the containers used for “storage” are in quite isolated places), might even be able to overcome an armoured padlock and the hope of gaining access to numerous valuable goods, such as those that one might imagine are stored in a container, would mean that the thieves would not give up easily. In addition to this, the removal and replacingof the padlock every time the container is used, inside a steel “pocket” which, as it surrounds it on 5 of its 6 sides, complicates the application quite a lot; it is not a convenient or quick operation. For all these reasons we are today presenting a solution which meets both the needs of security and ease of use. 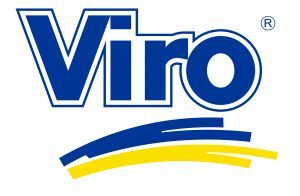 We refer to Viro Van Lock. Do you remember this name? versatility of the product is one of its strengths, but it is not the only one! 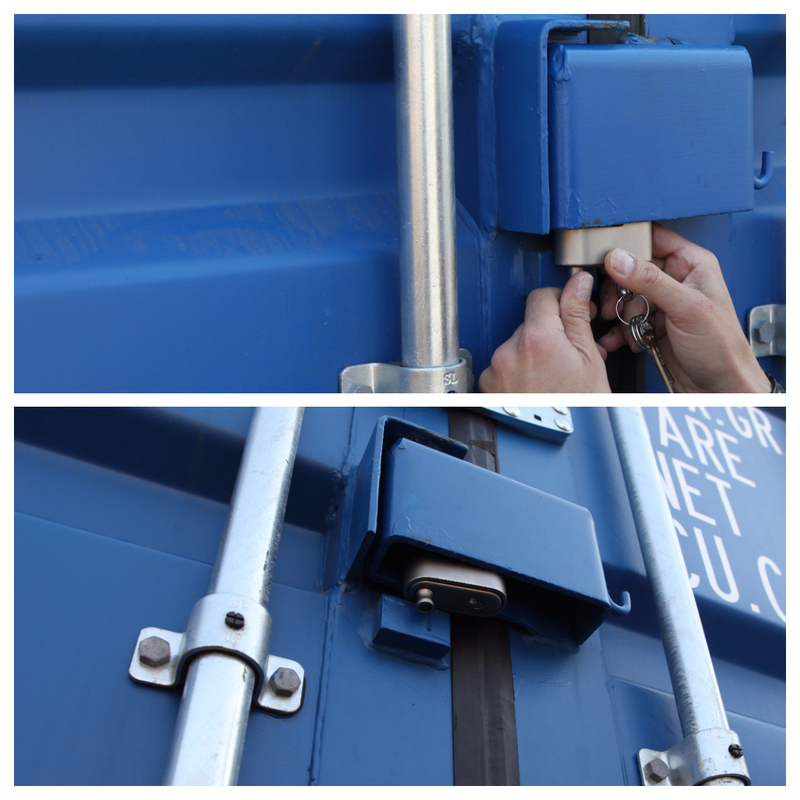 It stands out from other normal padlocks because it combines strength and convenience. How does it do this? We’ll see in the next blog; keep following us! This entry was posted in Padlocks and tagged products, technology, tips on 29 September 2017 by calessandrini.